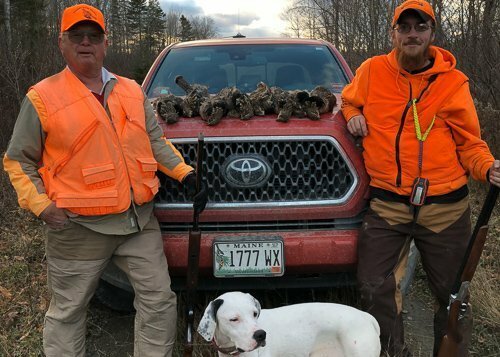 Northern Maine has an unheralded ruffed grouse population, it is a secret that many avid grouse hunters are becoming aware of. 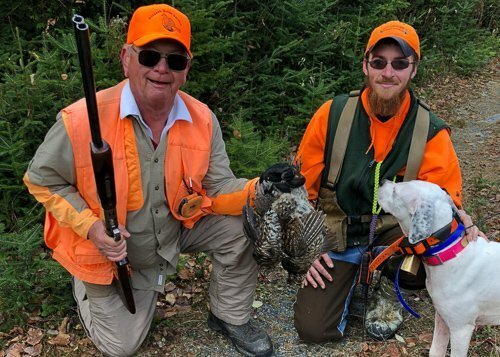 With hundreds of thousands of acres of commercial woodlands and thousands of miles of logging roads, an abundance of grouse will make your hunt successful and enjoyable. Terrain in the Allagash region consists of rolling hardwood hills, sweeping river valleys and countless streams and low lying wetlands. Due to commercial timber harvesting the age structure and composition of the forest is very dynamic which creates a consistent grouse population. There are remnants of old farms along the rivers from the first settlers of the region. Around the abandon farms and along the rivers it is common to find native patches of wild choke cherries, cranberries and thornberries. 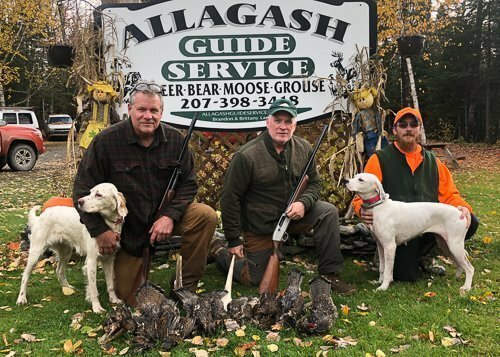 Maine has a liberal bag limit of 4 grouse per day, so bring an extra box of shells – you may use them all. Woodcock are numerous in the Allagash region. With many clearcuts in the 20+ year old class and unlimited wetland areas many woodcock reside here throughout the spring, summer and fall. Knowledge of the territory and local habitats help to locate woodcock more consistently. Guided grouse hunting with our pointing dogs promises you fast and consistent action all day long. 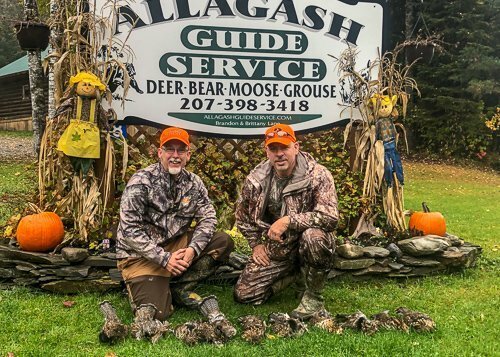 Late September and early October brings peak foliage and improves shooting opportunities with hardwoods shedding their leaves early in the grouse season. 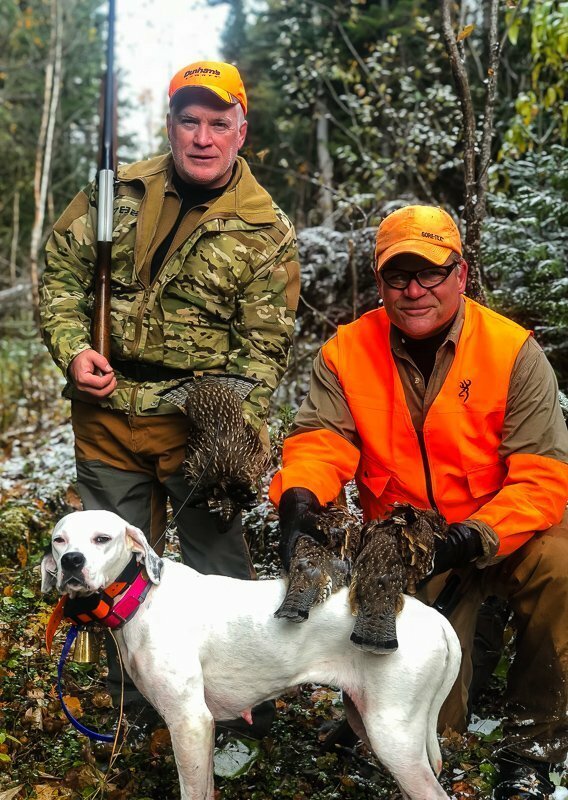 Whether you decide to hunt an entire week with us or choose a 1 day guided hunt you will hunt different coverts everyday – the amount of quality habitat is unlimited. Hunt includes lodging, meals, transportation, guide and dogs each day. 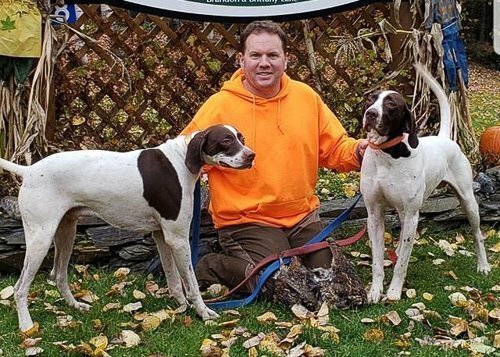 Whether you have your own dogs or hunt without dogs you can be successful with the abundant grouse population. 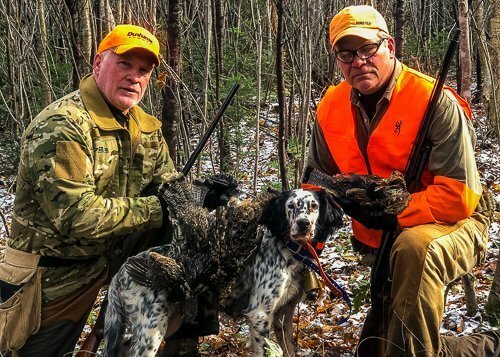 If you are new to grouse hunting in northern Maine we think you will find it beneficial to have a local guide that is knowledgeable about the area show you many coverts and begin to understand what local grouse prefer for cover and food. Throughout the week guides are available for further assistance with maps and general information of where to find good grouse cover. Six day hunt includes lodging, meals, one day of guiding with dogs, maps and information.